The latest rental report from the property website Daft.ie shows that while rents are increasing significantly in the capital they are rising much slower elsewhere, indicating a lack of supply according to economist Ronan Lyons. THE COST OF renting continues to rise across the country with the biggest increase in Dublin according to new figures from the property website Daft.ie. In its latest quarterly report on the rental market in Ireland, Daft.ie says that the average national rent is up 2.7 per cent from a year ago, confirming a third consecutive quarterly rise for the first time since 2007. The rising rents are driven by prices in Dublin which are up 5 per cent in a year in stark contrast to just a 0.2 per cent rise outside of Dublin over the same period. Daft.ie economist Ronan Lyons said the reasons for the widening gap between rents in Dublin compared to those across the rest of the country is a supply issue. “The reason comes down to a lack of supply, and with less appetite for sprawl now than in the bubble years, the signs from Dublin are that new supply is needed,” he said. He pointed to rents having risen steadily in Dublin over the last two years which makes them 10 per cent higher in south County Dublin than in late 2010. This makes rent on average €77 per month more expensive. Daft.ie is part of the Distilled Media group. Journal Media Ltd has shareholders – Brian and Eamonn Fallon – in common with Distilled Media Group. Email “This map shows you why rent is rising in Dublin more than anywhere else ”. 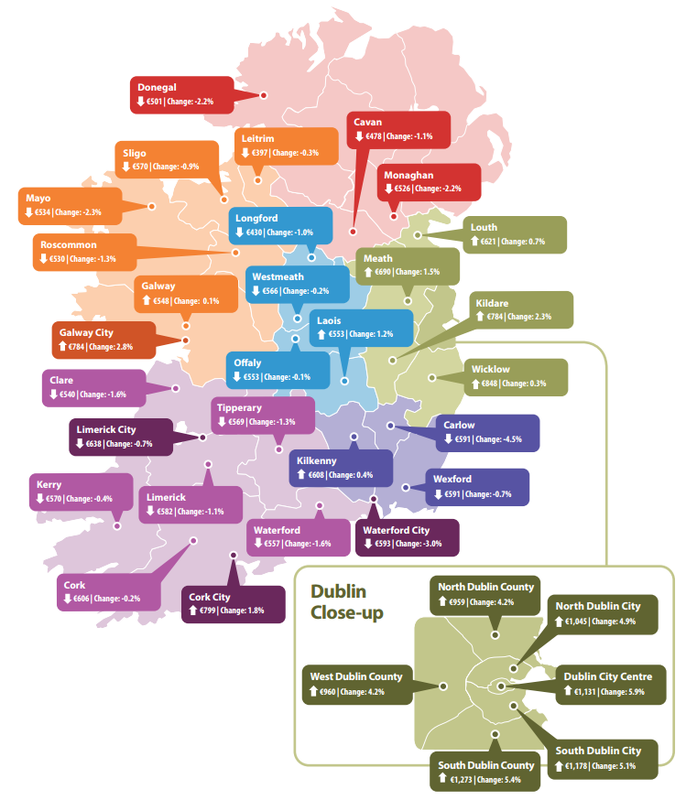 Feedback on “This map shows you why rent is rising in Dublin more than anywhere else ”.